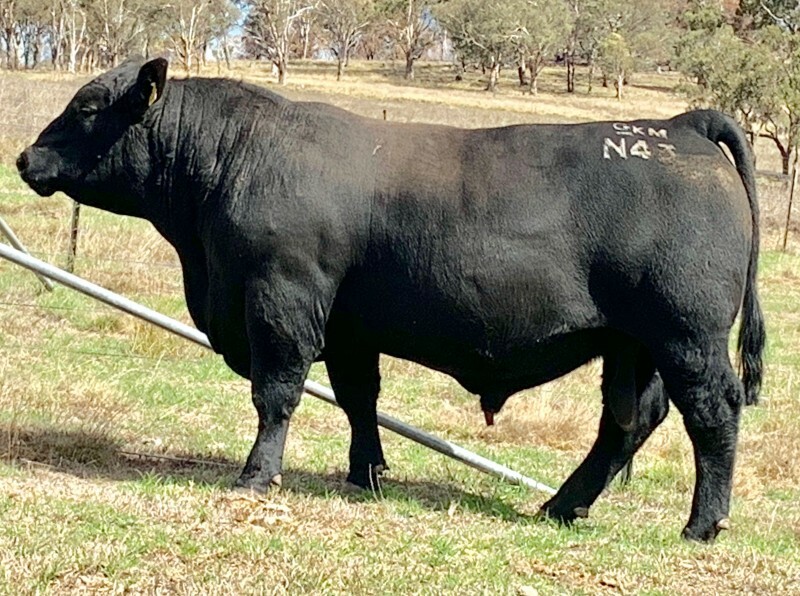 OUR ANNUAL ON PROPERTY BULL SALE will be held on FRIDAY 31ST MAY 2019 AT 1PM at Coldawinda, Tenterfield. 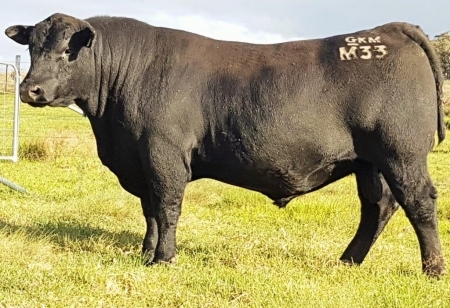 50 stud HBR 2 yo bulls will sell- all genuine stud HBR bulls. This year we will also be interfaced with Auctions Plus. 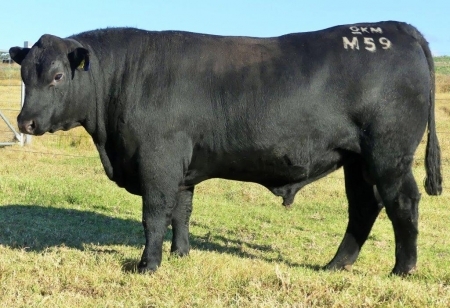 A great selection of heavy muscled high yielding carcase bulls sired by proven muscle and marbling performers- the growth and power bulls Vision Unanimous and Freys Opportunity, the super new calving ease, growth and marbling feedlot specialists Baldridge Compass, Connealy Sandman and PA Ranch House and the growth and calving ease sire Poss Element. 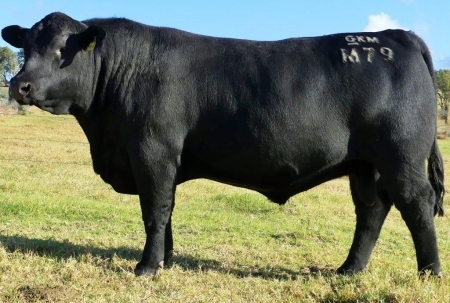 We also offer more sons of our own all round performer the Carabar Docklands brother Carabar Wheelwright H215 (by the Kansas Angus owned AI sire The Grange Wheelwright). Docklands progeny have been performing very well being the 2017 RAS & Ekka Grand Ch and $110K Qld record priced sale bull last year. They were the top sellers in our sale in 2017 and we are very impressed with the phenotype and balanced performance profile of the H215 progeny. 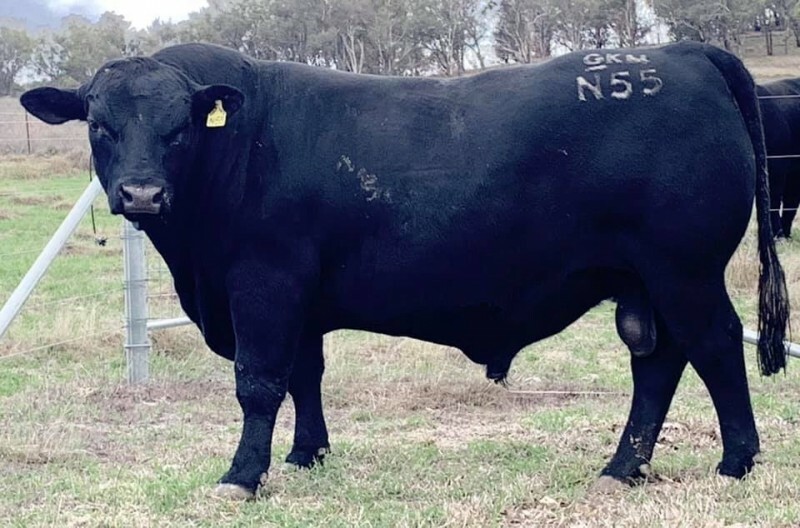 They are easy doing calving ease and carcase bulls that bring together all the traits we strive to combine over 30 years of selection- calving ease, high muscle and heavy yields in thick well muscled easy doing cattle that perform on grass or in the feedlot. 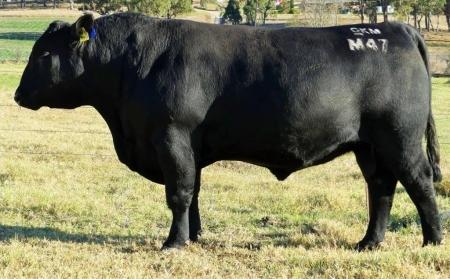 View the 2018 Bull Sale Catalogue of super heavy muscled real Angus type beef bulls is available as a PDF file click to the Right and online at the Angus Australia website or as an issuu flipping book for download here. Contact us if you wish to be have a hard copy catalogue mailed out to you and we will be in touch. 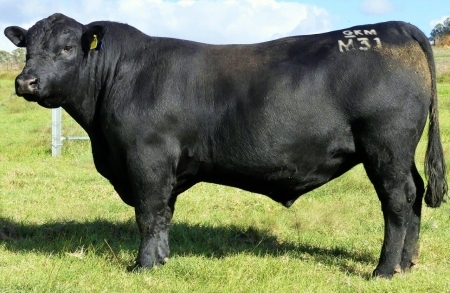 To view individual sale bull photo and pedigree/ EBVs please scroll down the page. ï»¿We sell before the prices escalate with the bull selling season, giving our clients value buying for high quality heavy muscled bulls. If you are chasing low birth wt calving ease bulls for your heifers, the majority of our bulls will do that plus deliver a quality calf with the genetic capacity to grow well and weigh heavy at weaning. We have plenty of bulls to suit your cows too. 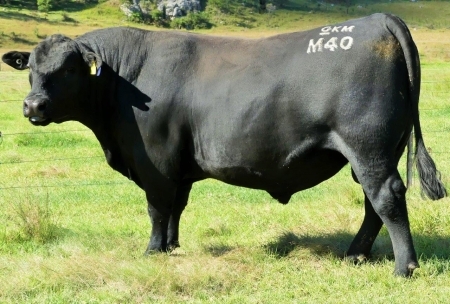 Our early sale allows producers to take their bulls home and settle them in well before the joining season and prior to the last minute buying of the spring bull sales frenzy. Our clients always comment on how our buls do not fall away when taken home to the paddock- they hold or improve their condition and are a pleasure to work with having nice quiet temperaments and respecting fences, dogs and people. We use EBVs as a balanced selection tool but not as the sole basis. We do not breed based only on $ Indexes that are not relevant to most producer's herds. Having a live calf, that grows and finishes quickly is the main profit driver for most producers. ï»¿Low birthweights coupled with high 200 and 400 day weights and added muscle are what producers get paid for in the saleyard and on the hooks. 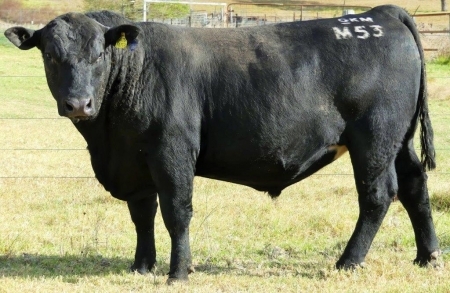 ï»¿Particularly as you head north, added muscling (EMA) continues to pay with positive fats for easy finishing, flexible market options and females that can breed back quickly are important traits. 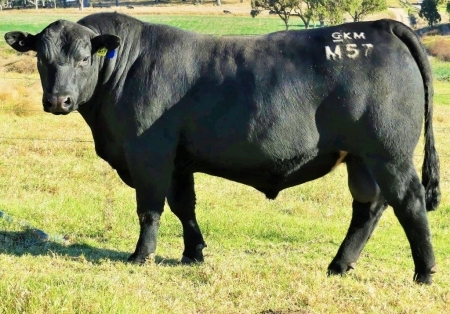 Increased marbling and IMF is also be a driver for cattle destined to the long fed feedlot. Our cattle perform well in the longfed feedlot and we appreciate this is a niche market for Angus in the Australian beef industry. The majority of cattle fed spend on average a shorter 50-120 days in a feedlotï»¿ ï»¿so for most of our clients the Heavy Grassfed $ Index, Domestic $ Index and Angus Breeding $ Index may be more relevant to their profitability and sustainability. Again this year the sale bulls are all genomic tested with the Zoetis HDi50K DNA genetic worth MVP predictions and have been parentage verified so you are able to register any calves into the HBR stud without any further testing requirements. It also gives you independent quality assurance and confidence to buy bulls that have the correct sire information. The bulls have outstanding MVPs which Zoetis reported as an 'elite cohort'of bulls' with impressive results across the whole group. 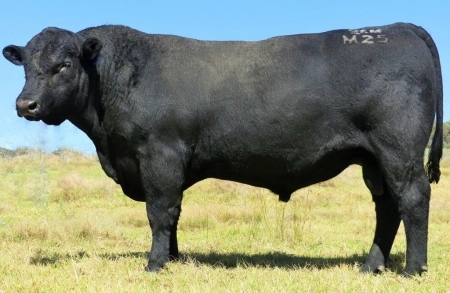 Many of the bulls delivered top 1-9% results for the traits we have selected on for years- Calving Ease, Adjusted Daily Gain, Growth for 200D and 400D Wt, EMA, Carcase Wt, Yield and Tenderness. These breed ranking results are against all of the Genetic testing done on Angus cattle in Australia/ NZ rather than a single year cohort. Great to confirm our bulls carry the genes to perform, even though our environment may not always allow them to express their full potential. 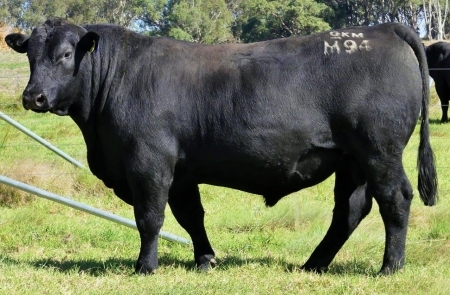 Our bulls are presented in strong paddock condition, ready to go out and work well for you. A complimentary lunch and tea and coffee is provided on the day. We know Tenterfield can be very cold in winter so make sure you bring an extra coat just in case. 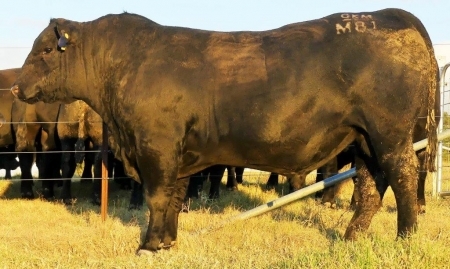 Agents for the Sale are Darren Perkins 0428 660 324 and Matt Grayson 0419 686 540 George and Furhman Warwick, Qld and Brian Kennedy 0427 844 047ï»¿ Elders Livestock, Glen Innes, NSW. Our 2018 Bull Sale Preview VIDEO is coming soon. 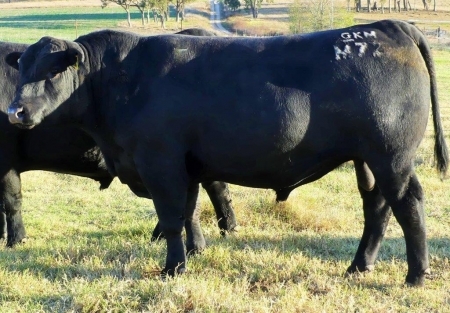 NKEN084 Compass x Impression Check out his EBVs- Top 1% Domestic $index, 200d, 400d, 600d wt & carcass wt. Top 2% Grassfed $index, top 5% Feed Efficiency , top 8% Angus Breeding $index. All with calving ease & low birthwt- a real curve bender. 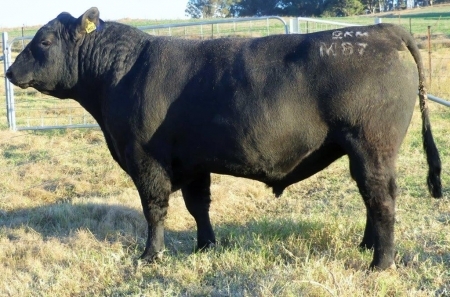 Great muscle expression combining growth, carcass and calving ease with great temperament. NKEN040 Opportunity x Mytty in Focus x Final Answer x 878. Hard to beat curve bending EBVs where it counts for profits: top 1% 200, 400, 600D, carcass wt, yield & Domestic $Index, top 5% Grassfed $Index, low birthweight with top 10% calving ease & top 14% Angus Breeding $Index & milk, plus top 25% Grainfed $Index & Feed Efficiency. 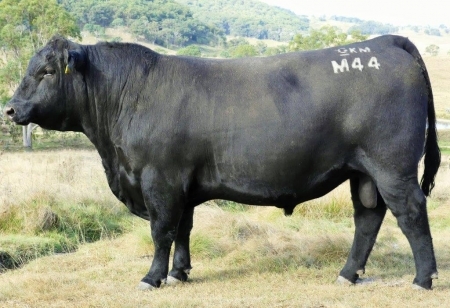 NKEN043 Opportunity x EXAR Upshot x Connealy Thunder- powerful muscle expression in this bull from those muscle sires with terrific maternal traits. Super deep bodied big capacity bull has been a standout calf from getgo. 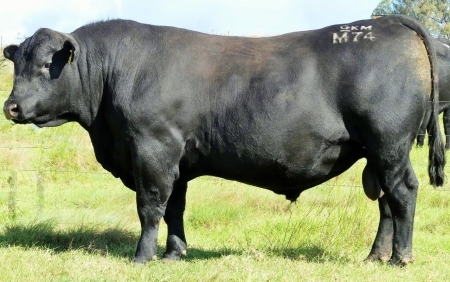 NKEN076 Opportunity x Haas GPS- again well muscled, long bodied & strong topped with curve bending EBVs; super low bwt, top 1-5% short gestation length, 200, 400, 600D & Carcass wt with positive fats & feed efficiency. Another low birth wt good skinned, well muscled thick topped Earnan x Aberdeen. Exactly what your calves need- born easily grow and finish fast to earn extra $$. From a very productive older cow always produces a top calf. 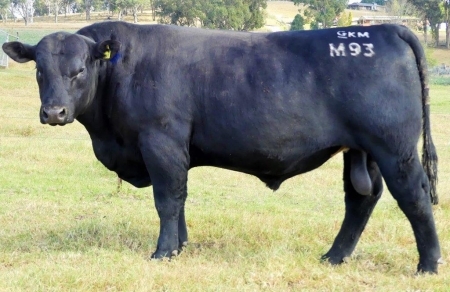 Smmooth thick well muscled bull with balanced EBVs in all the right places. Top 20% EBVs for 200D, 400D, Carcase Wt, Milk & Domestic $ Index, top 25% for EMA & retial Yield. 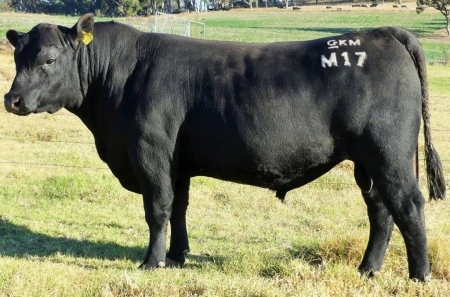 All in an outcross genteics package to mainstream Angus breeding. Easy doing soft skinned long bodied thick well muscled Earnan x Aberdeen- a great cross. Top 5% or better EBVs for 200D, 400D,600D Wts, top 7 & 8% for Carcase Wt & Mature Cow Wts too. Top 10% Feed Efficency will really pack some grow into those calves. 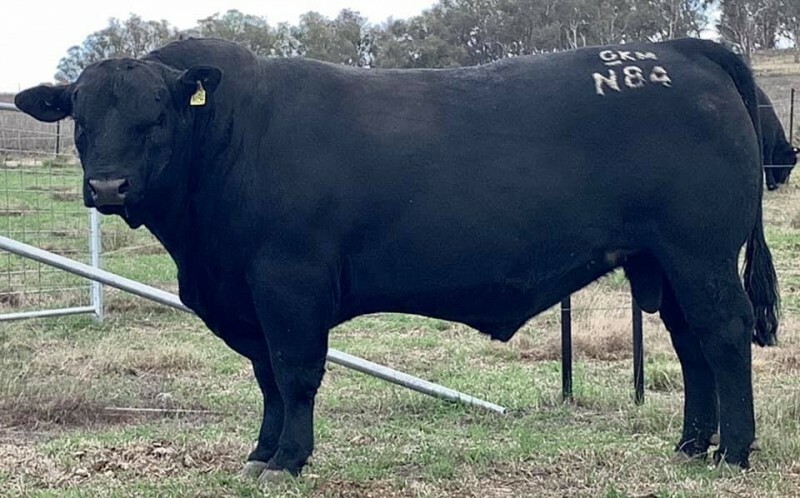 Looking for that ellusive 036 free pedigree?- very hard to find these days in Angus genetics but here is your outcross bull. 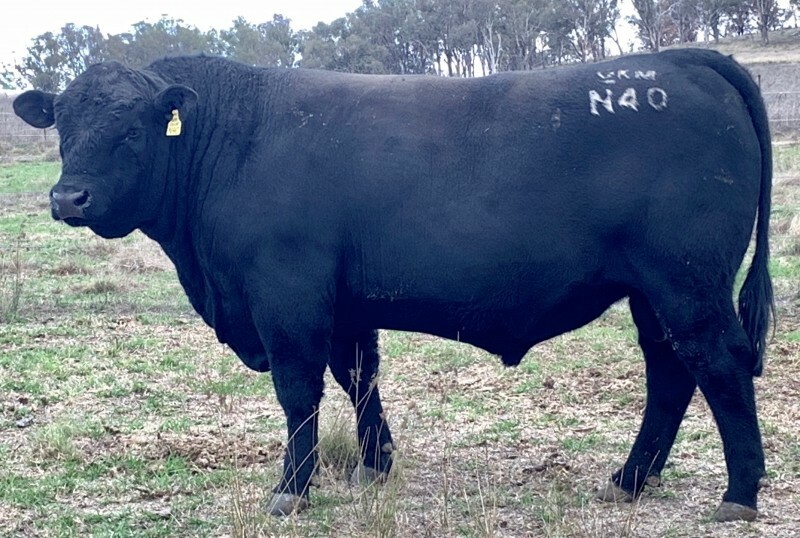 Will be one of the 1st Plateau bulls to be offered for sale in Australia (Texas Angus also has some for sale this season). Out of a very good structurally correct old cow- a show ch herself & sister to Ekka Ch, who always produces one of the top sale draft bulls for us each year. 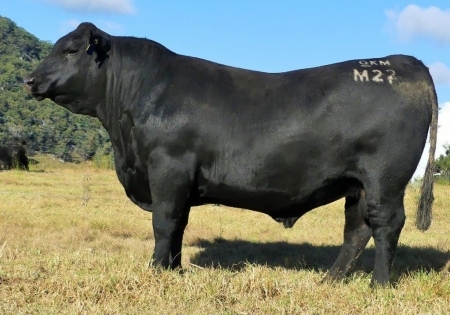 Combines all the old breed greats in his pedigree- Ext, 8180, 6385, with balanced EBVs top 20% for 200D, 400D, Milk & Domestic $ Index, top 25% EMA & Retail Yield. 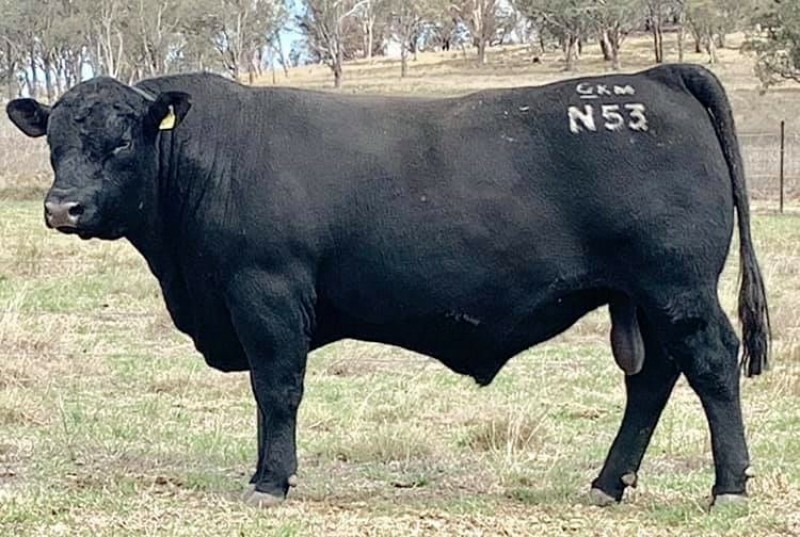 Added growth and style in this younger bull -a great combo of Carabar Australian genetics with Connealy tough carcase genetics. Great profit EBVs, will add real value to your herd, top 3% 200D & 400D growth, top 4% Carcase Wt, top 1% Feed Efficiency. Nice bigger framed young Earnan x MyttyInFocus bull. Dam Ekka Gnd Ch 2011, Grand dam also Ekka Ch. Lovely skin/ hair type, great temp & muscle pattern. 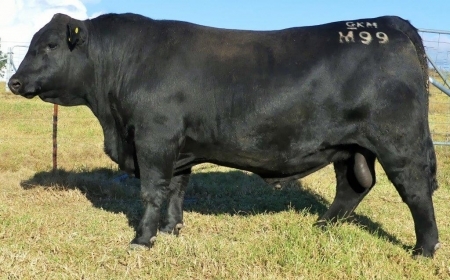 Smooth made thick bull with balanced EBVs: top 1% 200D, 400D & EMA, top 2% Carcase Wt, top 3 % 600D Wt, top 4% Retail Yield & Domestic $ Index, top 6% MCW & Heavy Grass $ Index. Extra thick heavy muscled Earnan x Aberdeen x MIF with a great hindquarter. Long deep ribbed, strong toplined smooth bull with great skin/ hair type. Top 2% 200D & 400D Wt growth, top 10% or better Calving Ease,600D & carcase Wt, Scrotal, EMA, Domestic & Heavy Grass $ Index. 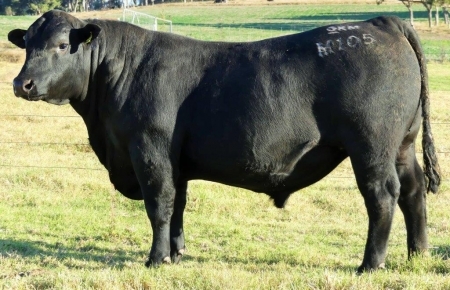 Top 17% Angus Breeding & top 25% Heavy Grain $ Index EBVs. Very flexible market options & will make top replacements too. Actual bwt 33kg. Similar powerful Earnan x Aberdeen x MIF- soft well muscled ,smooth made deep ribbed good skinned bull. Top 3% 400D, top 4% 200D, top 5% Carcase wt, top 9% 600D wt EBVs for top 30% Domestic & Heavy grass $ Index. Actual BWT 42 kg. Combines low birth wt with top 3 % 200D, 400D & Carcase Wts, top 9% 600D wts together with positive fats for easy finishing. 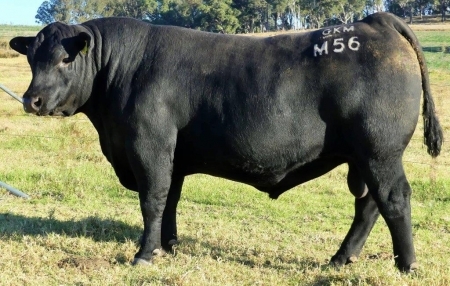 Well muscled nicely made thick bull, dam class wa an Ekka class winner. 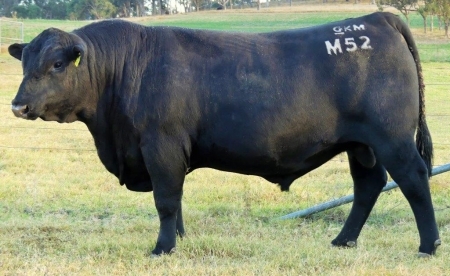 By same sire as the newest buzz feedlot AI sire Musgrave Big Sky that Australian breeders are chasing. Great balanced EBVs- top 1% for 6 traits including 200D, 400D, 600D, MCWt, Scrotal & Domestic $ Index. Top 2% Carcase Wt & Retail Yield, Top 4% for Heavy Grass $ Index, Top 6% Angus Breeding and Heavy Grain $ Index. All with positive Calving Ease, a quiet nature and great skin type. 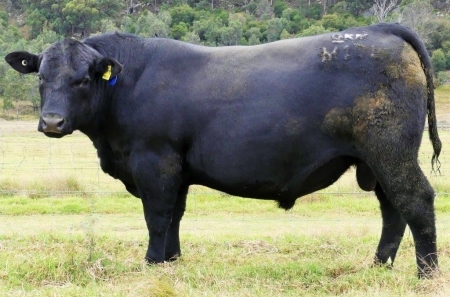 Terrific type Ranch House x Earnan x Thunder- very heavy muscled, deep flanked, extra spring of rib with great skin/hair. Always a standout & easy doing. Top 1-3% 200D, 400D, 600D & Carcase Wt, top 5% Milk with Calving Ease, low BWT & good IMF. Top 15 % Domestic & Heavy grass $ Index. Love these Ranch House bulls- beautiful skin and hair type, added depth, capacity and muscle thickness - super soft easy fleshing and finishing cattle. Added kilos for great feedlot or grass performance. 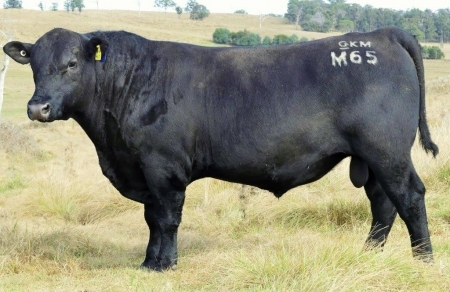 By Connealy Earnan the sire of Musgrave Big Sky who currently isthe buzz sire for a lot of Australian breeders that target the Feedlot market. We have been using Earnan for 5 years- love his muscle pattern, growth and terrific calving ease with these bulls are effectively 1/2 brothers to Big Sky. From a very productive very easy doing/ easy calving fertile old Aberdeen x 410H cow- the cross that has really performed every year through pretty tough seasons. 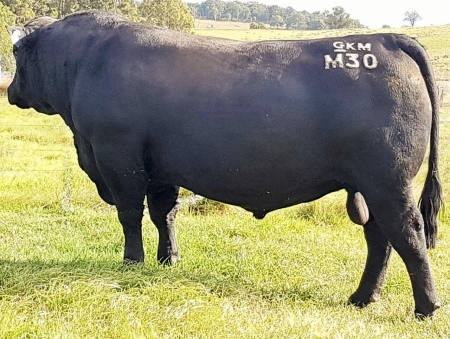 Much better bull than his EBVs are suggesting M058 is one of the best put together bulls we have bred to date. Top 10% or better for 200D, 400D, 600D. MC Wt & Carcase Wts. Top 15 % Feed Efficiency. An Actual BWT of 42kg makes him more suitable for cows. Great skin and hair type, very easy doing bull - always a standout calf. Represents 3 generations of 1st calf heifers for built in calving ease in an outcross pedigree to most. 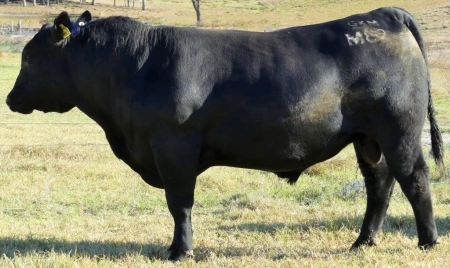 Elite EBVs with top 1% Calving Ease, 200D, 400D, 600D, Domestic & Heavy Grass $ Index, top 2% Carcase Wt & Angus breeding $ Index, top 5 % MCWt, Top 7% Heavy Grain $ Index. All in a very quiet, good skin and hair type bull. Long bodied DVAI x Basin Excitement son- curve bending performance with added muscle, great hind quarter. Great balanced elite EBVs- top 1% 400D Wt & Milk, top2% 200D Wt, top 6% low BWT & 600D Wt, top 7% Calving Ease & Domestic $ Index, top 9% Carcase Wt. Great performance from heifers 1st calf & was also heaviest weaner of mob. Will suit heifers or cows. 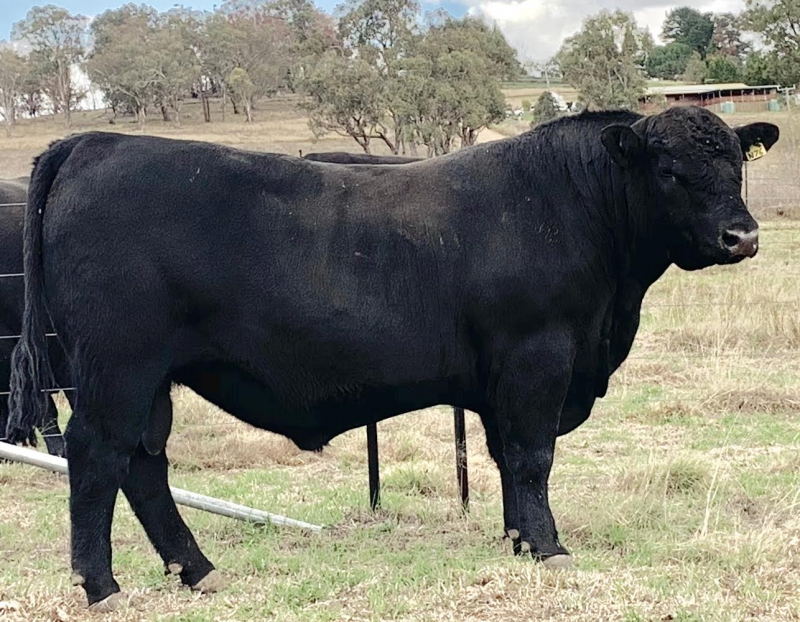 Long thick very well muscled Ranch House x Cross Country son with great depth of rib, soft easy doing positive fats bull with great skin & hair type. Top 15% or better Calving Ease, short gestation, low BWT, 200D, 400D Growth Wt, Carcase Wt & fats. 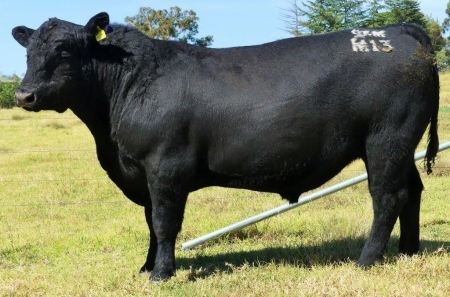 Top 6% Heavy Grass, top 8% Domestic, top 11% Angus Breeding & top 25% Heavy Grain $ Indexes. Very balanced bull with flexible market options. 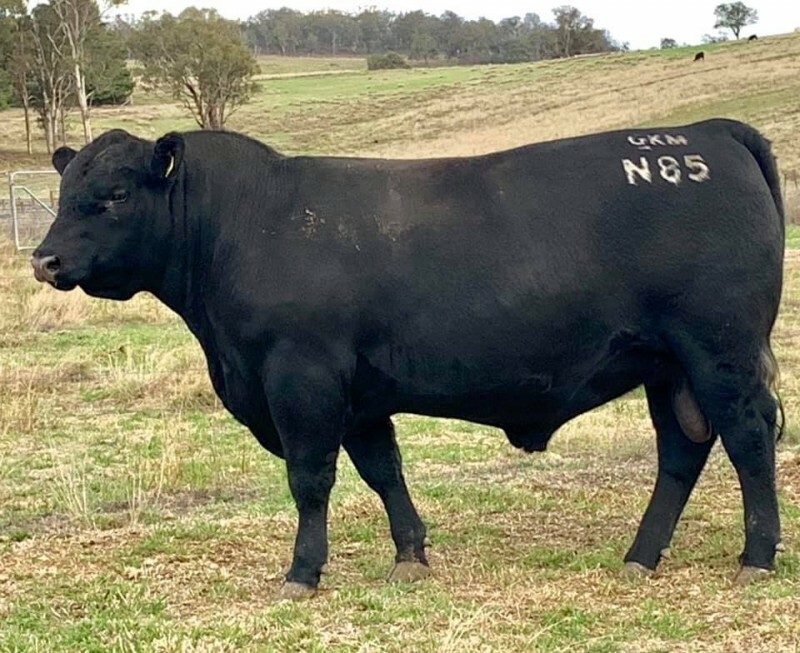 Very impressive younger bigger framed very smooth & thick Ranch House son, deep flanked, deep ribbed soft fleshing with great muscle pattern from top cow family.Ticks all the boxes for balanced EBVs. Great top 3% 200D & top 8% 400D growth Wts, top 15% or better Calving Ease, 600D growth & Carcase Wts, Domestic & Heavy Grass $ Index. Top 25% Angus Breeding & top 35% Heavy Grain $ Index. Great Thunderbird x Upshot x MIF son with curve bending performance. 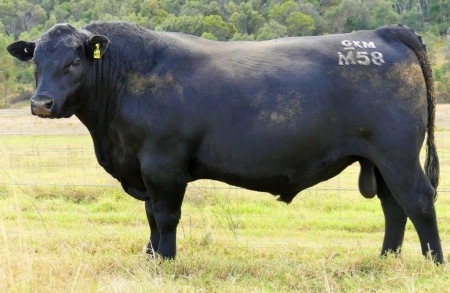 Very thick deep ribbed strong topped & well muscled bull. Elite top 1% Calving Ease & short Gestation Length, top 3% Domestic $ Index, top 4% 200D & 400D growth, top 8% Retail Yield & Heavy Grass $ Index, top 13% 600D & Carcase Wts. Really good heifer or cow bull. One of the youngest bulls in the sale- only an end of Oct calf. 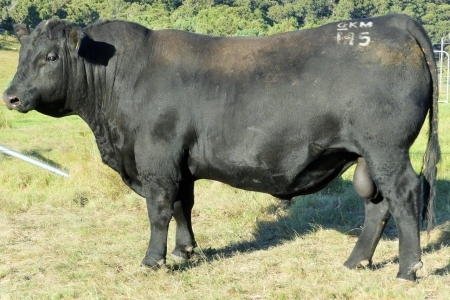 A typical Ranch House son from top Pure Product (Musgrave Angus) cow. 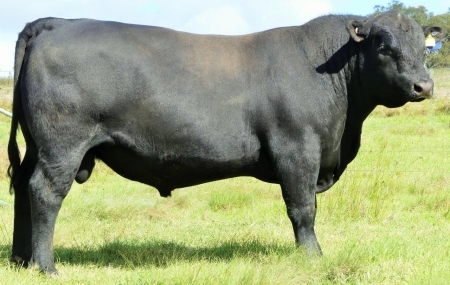 Thick, well muscled deep bodied bull with extra spring of rib & hindquarter. Very balancced EBVs- top 15% Calving Ease,top 7% low BWT, top 5% EMA, top 8% positive Fats, top 12% short Gestation Length & Milk. Top 20% Domestic $ Index, top 35% Heavy Grass $ Index. Suits heifers for easily born calves with muscle that grow & finish fast. Good type of Ranch House x Earnan- big deep ribbed, thick easy fleshing bull with nice skin type and hair. Great smooth muscle expression & hindquarter. Balanced EBVs to add $$ where it counts- top 4% Carcase Wt, top 7% 400D Wt & Milk, top 11% 200D Wt & top 18% 600D Wts. Add style & type to your calves. Standout very deep ribbed Ranch House x Aberdeen son- thick, long with a big hindquarter. Strong topped & tight pizzled, quiet temp. Elite EBVs top 1% 200D, 400D, 600D growth, Carcase wt & Heavy grass $ Index. Top 2% Milk & Domestic $ Index. Top 4% Angus Breeding Index, top 13% Heavy Grain $ Index & EMA. A very good bull with positive calving ease with 36 kg actual bwt. Also a younger end of Sept bull in the draft. 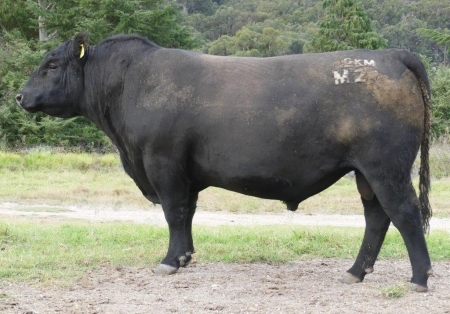 Nice muscle pattern Earnan x Performer son- deep flanked & thick will add power and shape to your weaners. Top EBVs where you get paid - top 3% 200D wt, top 4% Retail Yield, top 7% 400D wt & EMA, top 9% Feed Efficiency & top 19% Carcasw Wt. Actual bwt 35 kg. 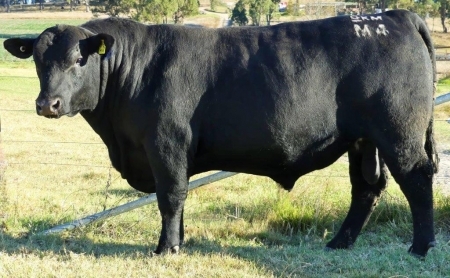 Very quiet easy doing soft Ranch House son with great depth of body & muscle expression, Deep ribbed & extra thick, from powerhouse Connealy bred Impression x Thunder cow line. 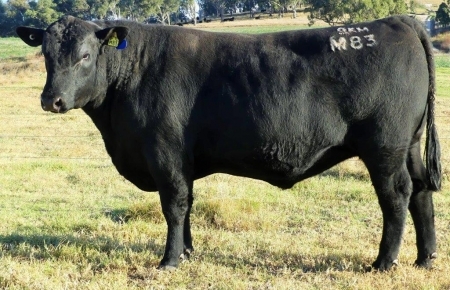 Combines top 9% Calving Ease with top 5% short Gestation Length & low BWT and carcase traits of top 1% EMA, top 4% positive fats, top 8% Domestic $ Index, top 16% 200D & Heavy Grass $ Index and top 23% 400D & Carcase Wts. Really like these Ranch House bulls. Another deep bodied, easy doing Ranch House bull- this time from a Dynamite x 8180 cow line. A wide, good capacity bull with great skin and muscle expression. Very balanced EBVs top 9% Carcase Wt, top 15% 200D, 400D wts, Domestic & Heavy grass $ Index along with top 20% Calving Ease, low birth wt & 600D growth. 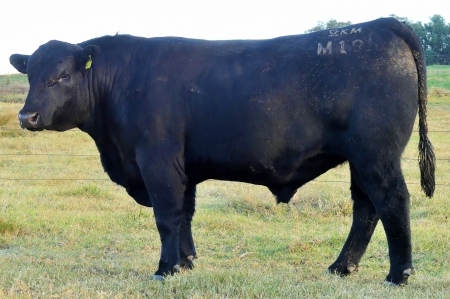 Top 25% Angus Breeding & top 35% Heavy Grain $ Index- balanced performance for cows or heifers. Deeper flanked soft easy doing DVAI son- heifers 1st calf. Big spring of rib, thick with good skin/ hair . 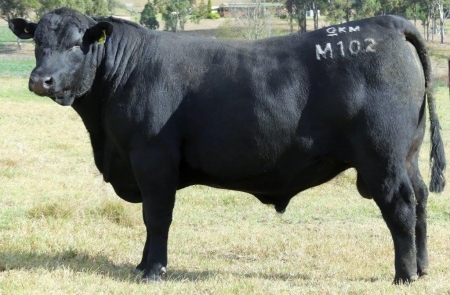 Top 1% 400D & 600D Wts, top 4% 200D Wt, top 7% Carcase Wt & short Gestation Length, top 10% Calving Ease, Heavy Grass $ Index, top 15% Angus Breeding & Domestic $ Index, top 19% Heavy Grain $ Index. Great balanced EBVs for heifers or cows. A long thickset good skinned Carabar H215 bull from a v gd Aberdeen cow that was a prev National Heifer Show class winner. Nicely balanced set of figure includes a top 1% fats for easy doing & finishing coupled with top 2% Feed Efficiency EBVs. Top 20% low BWT & 400D growth & top 25% Calving Ease & Heavy Grass$ Index. 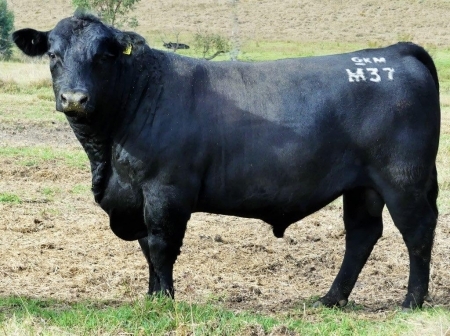 Top 35% Angus Breeding & Domestic $ Index. 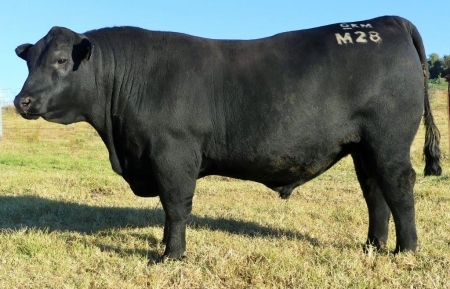 Another strong topped Carabar H215 son, this time from a Musgrave Angus Pure Product blood cow. Easy doing with good muscle pattern & extra body length. Again top 1% Feed Efficiency with top 10% short Gestation Length & Calving Ease. 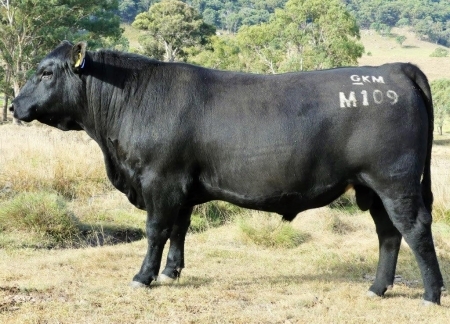 Top 30% 200D, 400D & 600D growth Wts & Heavvy Grass $ Index, top 25% Domestic $ Index & top 35% Angus Breeding $ Index EBVs. Later maturing bigger frame Carabar H215 son from very good older Thunder cow. Balanced EBVs top 3% low BWT, top 10% Calving Ease, 400D Wt, Milk, Feed Efficiency & Domestic $ Index. Top 15% Carcase Wt & Heavy Grass $ Index, top 25% IMF, 200D Wt, Angus Breeding & Heavy Grain $ Index, top 30% 600D Wt, positive fats & Scrotal EBVs. 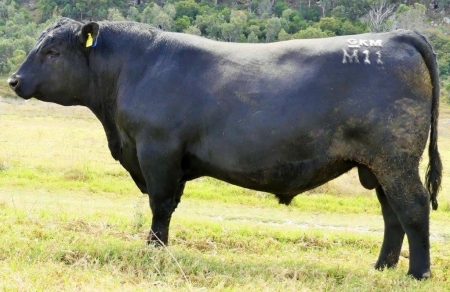 Thick well muscled typical Earnan bull. Strong topped nice muscle pattern from solid Connealy Thunder cow. Great skin/ hair type, typical Earnan EBVs. Top 4% 400D Wt, top 5% Carcase Wt, top 6% Feed Efficiency plus top 10% 200D & 600D Wts & top 30% Retail Yield. Will add growth & muscle to your calves & extra $$ with increased wt & yield . 1st of the Poss Element 1st calf heifer bulls. These are super low BWT sleep easy heifers bulls that value add with carcase performance. 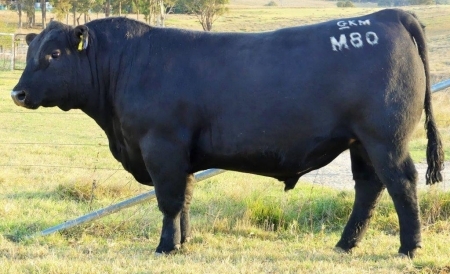 Slippery, smooth fronted, great hindquarter shape- look just like sire on inspection in US. 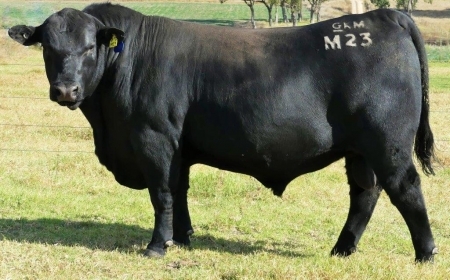 Offers gd Calving Ease, low BWT with top 7% 200D & top 10% 400D growth wts, top 13% Domestic $ Index, top 20% Carcase Wt, top 25% 600D wts ,Angus Breeding & Heavy Grass $ Index, top 29% IMF & Heavy Grain $ Index. Actual bwt 27 kgs. Smooth fronted Calving Ease Poss Element 1st calf heifers son. 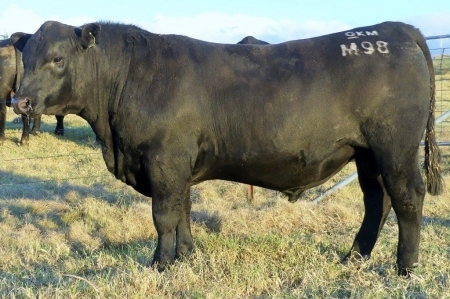 Strong topped, well muscled with great hindquarter shape. 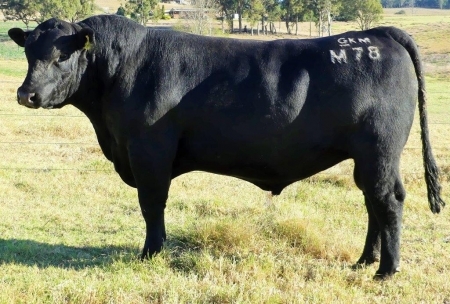 Balanced EBVs, low BWT, top 5% 400D, top 8% 200D Wt, top 10% Domestic $ Index, top 17% Heavy Grass $ Index, top 23% Angus Breeding $ Index, top 30% EMA & Carcase Wt. Great heifer bull for high value calves. A thick very well muscled ET calf from top donor 878 cow- (878 the ideal global Angus cow maker) and carcase performance sire DVAI. Genomics and performance recorded full HBR registration & EBV figures will be available on sale day. Thick well muscled DVAI son from top Excitement x Pure Product outcross genetics 1st calf heifer. Strong topped with great hind quarter and extra width. Terrific EBVs with top 1% across 5 traits- 200D, 400D, 600D & Carcase Wts, Retail Yield & Domestic $ Index. 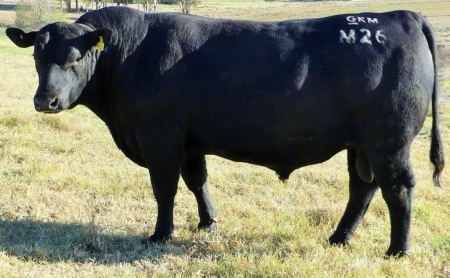 Top 2% for Heavy Grass $ Index, top 5% for MCWt & Angus Breeding $ Index & top 9% for EMA EBV. Long bodied, strong topped thick well muscled DVAI son with good hindquarter muscle expression- a heifers 1st calf. Balanced EBVs for Calving Ease, top 1% 200D, 400D growth Wt, top 5% Carcase Wt & 600D growth Wt. Thick strong topped deep ribbed easy doing DVAI son x Excitement 1st calf heifer. Elite EBVs with low BWT, gd Calving Ease with top 1% 400D Wt, EMA & Domestic $ Index, top 2% 200D Wt, top 3% Retail Yield & top 5% Carcase Wt Performance. Thickset heavy muscled Ranch House son x productive CC&7/ Leachman Boomtime cow. Top 3% Retail Yield, and top 6% EMA for extra $ from your steers and top 15% Milk maternal traits for replacement females. Thick well muscled son of homebred Upshot x Thunder sire K38 from a good Haas GPS x Final Product 1st calf heifer. 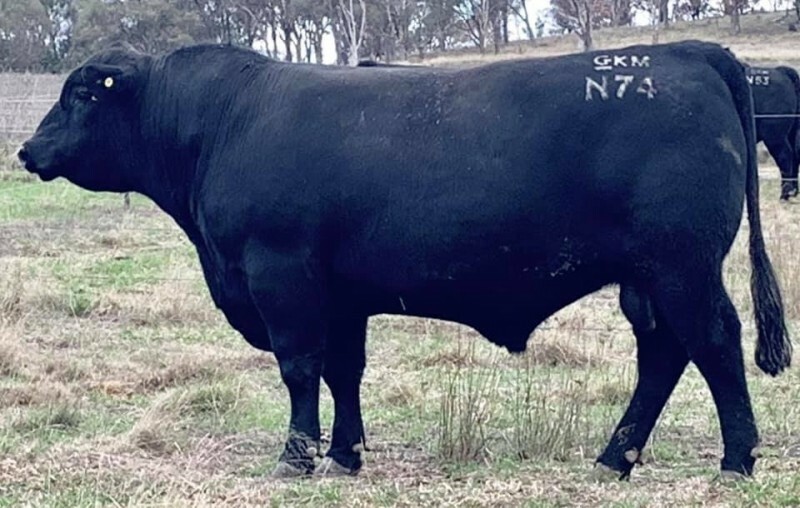 Nice set balanced EBVs, top 1% Calving Ease, low BWT, top 4% 400D Wt & Domestic $ Index, top 8% 600D Wt & Heavy Grass $ Index, top 15% 200D & Carcase Wts, top 18% Angus Breeding & top 30% Heavy Grain $ Index. Get very saleable calves from your heifers. 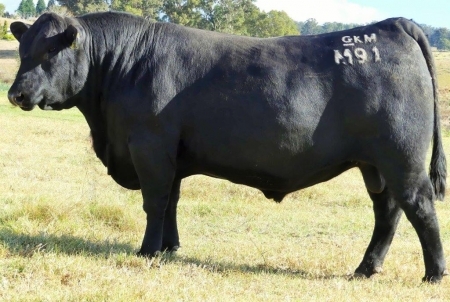 Soft athletic Ranch House bull from solid performing Connealy blood cow. Good great skin type, deep ribbed & deep flanked. Easy doing top 2% positive fats with attractive muscle pattern. Top 3% EMA. Top 10% low BWT with top 15% Calving Ease. Will make well muscled easy finishing progeny & very good replacements. Very smooth fronted, long bodied and upstanding DVAI son x Excitement 1st calf heifer. Excellent curve bending EBVs- top 1% x 200D, 400D, 600D Wts, Milk & Domestic $ Index, top 2% Calving Ease, short Gestation length, Carcase Wt & Heavy Grass $ Index. Top 4% low BWT, top 8% Retail Yield, top 10% Domestic $ Index, top 25% Heavy Grain $ Index. Suit heifers or cows. Long bodied smooth fronted DVAI son x Aberdeen cow. 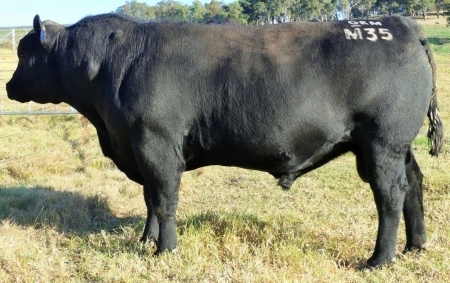 Elite performance EBVs- top 1% 200D, 400D, 600D Wts, Scrotal, Domestic & Heavy Grass $ Index, top 2% Carcase Wt, top 3% Retail Yield & Angus Breeding $ Index, top 6% Heavy Grain $ Index, top 10% Calving Ease. Suits heifers or cows, any target market of replacement females. Youngest bull in the sale- November calf. Long bodied smooth fronted Carabar H215 from sound productive Aberdeen cow. Will grow on to be a bigger framed bull. Balanced EBVs with good all round performance, top 25% Domestic & Heavy Grass $ Index, top 28% Angus Breeding & top 35& Heavy Grain $ Index. Poss Element x Excitement 1st calf Heifer. Nice smooth shaped sleep easy heifer bull with strong topline & great hindquarter- v similar to sire. Top 14% Calving Ease, top 10% short gestation Length & top 3% low BWT for easy born calves combined with top 7% EMA & top 4% positive fats for easy finish. Top 15% Domestic $ Index, top 35% Heavy Grass $ Index. Excellent heifer bull. Long smooth thick DVAI x Excitement 1st calf heifer. Balanced performance EBVs with top 1% 400D Wt, top 2% 200D Wt, top 3 % Domestic $ Index, top 9 % Calving Ease, 600D Wt & Retail Yield. Strong topped smooth fronted DVAI x Haas GPS 1st calf heifer. 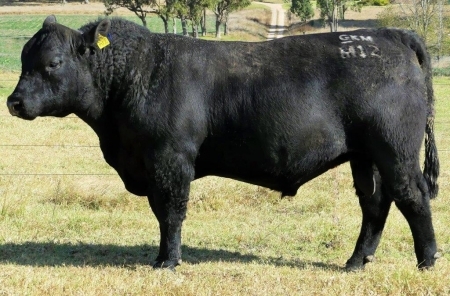 Outstanding Performance EBVs with top 1% all $ Indexes- Angus Breeding, Domestic, Heavy Grain & Heavy Grass, as well as Calving Ease, 200D, 400D, 600D & Carcase Wts.Top 4% Scrotal, top 9% Retail Yield & top 14% EMA. 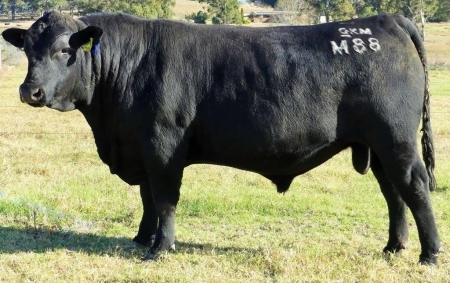 Smooth fronted Poss Element heifer bull- good topline and hindquarter shape. Balanced EBVs with top 6% 200D Wt growth. Actual BWT 30 kgs very suitable for heifers. Great heifer or vealer bull for last lot. Typical Thunderbird x Upshot 1st calf heifer- very heavy muscled, stout and thick. Low BWT with top 15% Calving Ease. Top 2% 200D Wts, top 6% 400D & Carcase Wts & short Gestation Length, along with with top 13% 600D Wt & Retail Yield. Powerhouse performance for your heifers calves or inject added muscle growth and yield to your cow herd.